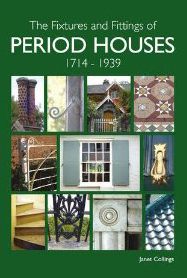 "A big compendium of period styles, details and features." "Keep your cottage's period appeal and avoid those damaging twentieth century mistakes." "An indispensable guide to appreciation and care." "...anyone thinking of 'doing up' a house should have to read this first, like learning the Highway Code before getting behind the wheel of a car..."
"This book does exactly what its title proclaims...Highly recommended..."
"Whether you are planning extensive repairs and alterations to your house, or simply want to know more about it and how to look after it more knowledgeably, this book is a good place to start." click the dog for energy! 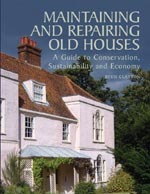 OLDHOUSE.INFO WAS FOUNDED IN 2002 BY CONSERVATIONISTS TO PROVIDE INFORMATION ON OLD HOUSE CARE IN THE UK - BASED UPON REAL PRACTICAL EXPERIENCE WITH BUILDINGS. THE SITE IS NOT SUPPORTED BY ADVERTISING OR EXTERNAL FUNDING. IF YOU WOULD LIKE TO SUPPORT US, WE DON'T HAVE A DONATE BUTTON BUT WE DO HAVE PAY-FOR ARTICLES DELIVERED BY EMAIL WHICH YOU CAN BUY HERE. 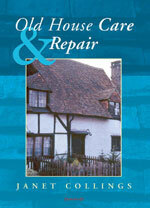 oldhouse info aims to explain why old houses need a different approach to modern buildings when repairing and decorating. Many ordinary modern repair techniques and materials can actually harm old buildings: The right knowledge could not only help save buildings but also money and time. Conservation is linked with sustainability through the long life, adaptability and reparability of old houses - many of which were built and used for centuries without needing fossil fuels. oldhouse info offers information on a variety of issues that affect old houses in the UK - such as movement, damp and decay, adapting an old house for modern living and period decoration materials. Our own books are shown here in the left sidebar. FAQs webpage - You are not alone! Damp webpage - Knowledge is Power! Our influential free article which has been much linked-to on the net over its ten year life. Owners of old houses really need to have their buildings professionally assessed on site by a conservation-accredited professional such as an architect, surveyor or engineer - as no two houses can be the same and changing regulations and methods might open up new possibilities. But, as a first step, the generic information available through this site can help owners understand many of the important issues. After hundreds of years of use and experience, there was a thorough understanding of how traditional building materials could be used and how they interacted. Twentieth century industrial progress saw a rapid departure from well-tried methods and threw new products into the mix. Old lessons and skills were forgotten. Just about everyone thought that all the new innovations were good for old houses too. Sadly, not always so, as some of them could seriously upset the balance that had enabled old houses to survive for hundreds of years. Some of the most commonly used repair and decoration materials might actually shorten the life of an old house and cause unseen decay. We look at what happens, whether the balance can be reinstated and explore kinder alternative methods and materials. Since old buildings originally used relatively simple technology it is often possible to replicate their original mortars, renders, plasters, paints and finishes that may still help to preserve the fabric and the appearance of old houses. Old house owners may even be able to undo some of the inappropriate work carried out to their houses during the last century and may also be able to help arrest decay that could be eating away at their home and their investment. Adopting a low-tech and a minimum-intervention approach can sometimes even cost less than a modern response to a problem. And these sorts of approaches can also be 'greener' solutions too. Especially those that use natural and renewable materials. How does your old house look? Many old houses were straightened up and modernised in the middle of the twentieth century. As a result they can look not so much 'period' as 'last century'. Looking at an old house like an antique, it makes no sense to try to turn it into something modern: more and more people are now recognising the value and charm of a genuine old property. Not everyone wants to go so far as to live in all the conditions of the past of course, but many people would like their old houses to at least reflect many of the original qualities of finish and appearance. That is usually perfectly possible and we include information on traditional and modern materials and finishes. We have a range of information from short general free-to-view items and FAQs to some lengthier technical downloads on a range of subjects - including paint stripping or the benefits of lime - that may be causing immediate concern or simply need explaining. The interaction of traditional construction and appearance is examined. 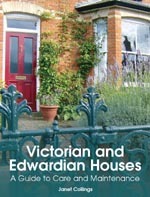 There are also links to purchase our books that we feel will help old house owners get a good basic understanding of the types of problems and solutions they may be faced with, as well as exploring the visual attraction of old properties. oldhouse.info does not offer email advice on individual buildings or specific problems because individual site conditions cannot always be taken into consideration . What works where you are? Villages up and down the UK are being asked to prepare documents to assist the official planning process for the future of their locality. The oldhouse info article Recognising and preserving the character of an old house may be useful in helping participants to interpret historic building detail during the assessment process.